See how to save up to $658 on Ecuador tickets to the Galapagos Island tours plus one of the most important international investing thoughts you may see this year. First, here is an international investing thought we reviewed at our recent International Investment and Business Course. Then we’ll look more at Ecuador tickets and how to get Galapagos cruise savings. Yesterday’s message International Investment Gains looked at the fact that the Dow has moved in 15 to 17 year up and down cycles. We saw that the Dow is into the twelfth year of a down cycle that started in 1998. When we compared the Dow’s movements for the last two years to the equivalent time in the previous (1968 to 1982) down cycle, we saw that these two years had an amazing 93% correlation. This led us to the question…What is next? See below in blue what the Dow did between 1980 and 1982. The chart below from Moore Research compares the Dow from 1978 through 1980 to the Dow of the last 18 months. The Blue line is what happened in the equivalent period in the 1970s for the next two years. Ignore the black line (this is how the Dow has just moved). There should not be and is little correlation. What is important is understanding the blue line. This what the Dow did during in the equivalent period (1978 to 1980) in the 1968 to 1982 downturn. The black line represent the Dow’s recent activity and should not matter. This is a really important international investment thought. If history repeats, if the Dow’s movement from now to mid 2011 has as strong a correlation as 2007 to 2009 had to 1978 to 1980, then the current uptick in the US market is simply bait leading most investors to slaughter! This chart suggests that soon we will see a sharp correction in the market followed by a period of very volatile sideways movement. Jyske Global Asset Management is suspicious of markets as as well. Thomas Fischer, Senior VP JGAM, spoke at our July 2009 International Investment Course about the fact that the current upwards trend in the market is not supported by economic fundamentals. Another week with positive trends in global markets. The MSCI World Index is up 1.37% this week but uncertainty about the direction of the market is beginning to show. On Tuesday the Chinese stocks plunged 5% as investors became nervous about the fast share price gains in the Shanghai Composite Index of almost 80% in 2009. The banking industry has seen some very good second quarter reports, but many banks have dramatically increased their provisions against bad loans due to continued pressure on the credit environment. On Tuesday the share price for Deutsche Bank tumbled 11% even though it reported a net income of USD $1.4 billion in the second quarter as bad loan provisions of USD $1.4 billion spooked investors. Consumers are still “maxed out” and with rising unemployment and none existing wage pressures. It will probably take some time before consumers return to the shopping malls in droves as indicated in the consumer confidence number for July showing a fall from 49.3 to 46.6. The big $64,000 question is whether we will have inflation or deflation and at the moment it certainly does not look like inflation. The Fed’s latest survey (Beige Book) shows an economy that is still very weak and the so called “green shoots” will take a long time to grow. In other words… be very cautious about speculating in the equity market. See an entire report on this as a Multi Currency Portfolios Course subscriber. 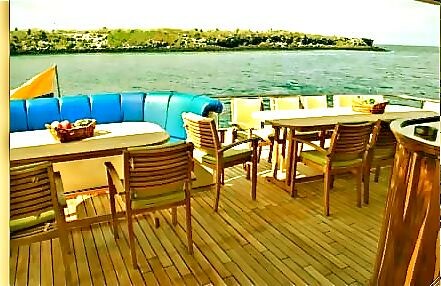 Now let’s look at how a $119 Ecuador Living subscription can help you save up to $658 on Ecuador Galapagos tickets on one of the most luxurious Galapagos cruises on this catamaran the M/S Nina with this excerpt from the Ecuador Living article Ecuador Galapagos Tickets. Our friend Kjetil Haugan, the largest Galapagos Ecuador cruise operator just sent us this note. Dear Friends! Greetings from Haugan Cruises! I would like to remind you of the promotions on our fleet for July until December 2009. Please find our special deals below. We are offering 2 x 1 deals August 25 – September 1 and Nov 24th to Dec 1st. We are offering a $1,000 discount + a flight ticket (Quito to the Galapagos) for August 18 – 25th and September 8 – 15th September 15th – 22nd, Oct 13th – 20th, Oct 20th – 27th and Oct 27th – Nov 03. 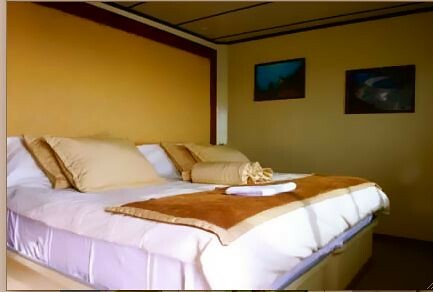 For additional information and added discounts see Ecuador Galapagos Tickets. This is the ticket to the Galapagos, Ecuador! Haugan tours pays tour operators commissions on these tours but as publishers we do not accept commissions so pass this on to our subscribers in the form of savings that amount to as much as $658. 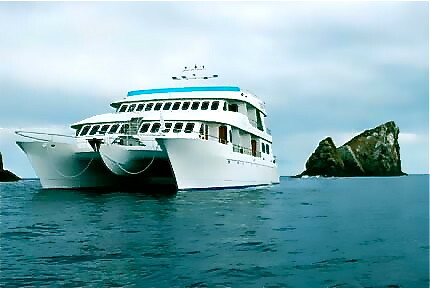 If you are an Ecuador Living subscriber, contact us to calculate your 15% discount for your Ecuador Galapagos tour. If you are not an Ecuador Living subscriber and want to go to the Galapagos, you can save money AND have your subscription free! Learn how to subscribe here. 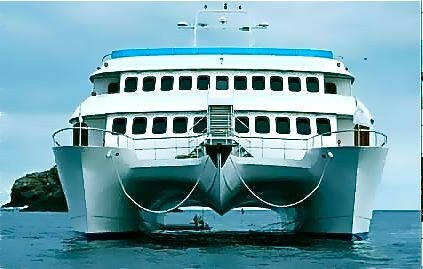 See other Ecuador tickets to Galapagos cruises here.